Beautiful Bump & Newborn shoot fee package £85 (No products or digital files included). 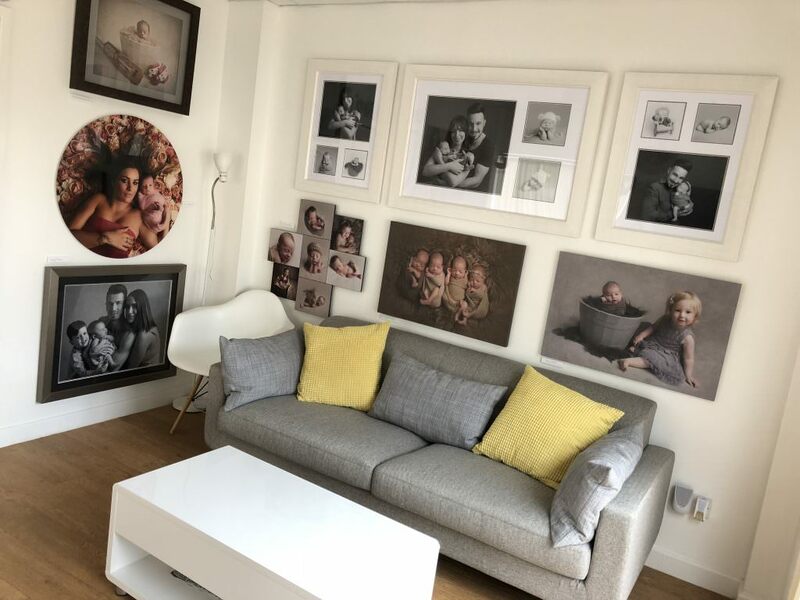 Minimum spend £285 with each shoot (Enquire about our interest free payment plans) For the minimum spend you can receive a finished triple framed wall product sized approximately 23.5 x 10.5 inches. The ideal time to get in touch and to book in your Beautiful Bump session is straight after your 12 or 20 week scan. We can then schedule a date and time for your shoot when you are between 28 ~ 34 weeks. This is a great time to really show off your baby bump and for us to capture the beauty of your pregnancy in all it’s glory. You will then return a week after your bump shoot to place your order. The minimum order is £285 and for this you can receive a professional wall product with three images inside. If you have been gifted a voucher there is a minimum spend of £285. We offer a lot of different wall art products, print packages and digital file packages to suit all tastes and budgets. Email us to book in your shoot. Quadruplet Shoot fee ~ £145 (10×8 print included plus an assistant will be present for quads). Minimum spend £285 (Saturday shoots are double session fee) (Enquire about our interest free payment plans) For the minimum order you can receive a finished triple framed wall product sized approximately 23.5 x 10.5 inches. You can not schedule your Newborn shoot too early, so we can book a tentative date and time in the diary and then work on the specifics after your baby has arrived. Shoots are unhurried, totally private and relaxed allowing time for your baby’s needs. The ideal time for a Newborn Shoot is between 7 to 14 days old. During these very early days I am able to capture those really cute curled up poses as this is when your baby is very easy to manoeuvre as their ligaments are still soft and flexible. Do still contact me if your baby is already older than this as I may be able to fit you in due to postponing booked shoots and babies arriving early and late for any reason. The maximum age for single baby is 6 weeks old. This age can be a bit more challenging but NOT impossible with my many years of experience. I have accomplished many of the same cute images of babies up to the age range 5 to 8 weeks although if you want to almost guarantee those images you will need have the shoot before your baby is 4 weeks old. Multiple premature babies such as triplets or quads can be up to 8-10 weeks old if they have been in hospital care up until this point. If they haven’t they will need to be photographed straight after they have beed discharged to go home or within a four to five week period. Do get in touch if you are unsure and think you may have left it too late as I can discuss your potential Newborn shoot in detail with you. If you have been gifted a voucher there is a minimum spend of £285. We offer lots of beautiful, high quality, wall art products, print packages and digital files packages for all tastes and budgets. Email us to book in your session. Minimum spend £285 (Enquire about our interest free payment plans) For the minimum spend you can receive a finished triple framed wall product sized approximately 23.5 x 10.5 inches. Portrait shoots are kept short, fun and informal. If I am photographing children I aim to keep the session totally fun, using toys and playing games. I can shoot up to 6-8 family members in one group within the studio. Larger groups if on location. You can of course wear whatever you wish for your portrait shoot but as a polite guide try keep things simple and maybe the colour scheme the same. Very bright /dark colours/logos and stripes can detract the eye from the subject (person) so it is good just to bare this in mind when dressing for your shoot. Basic cake to smash provided for an additional £25. There is a higher minimum order for cake smash and splash sessions which is £695. Birthday Cake Smash & Splash shoots are kept really fun and last an hour. Your baby/child does NOT have to actually smash up the cake. Your young child can just have some cute posed birthday cake shots with props as some children do not like to get messy! The choice is of your child but he/she can be encouraged to bash the cake with an added wooden spoon for the smashing up part. We end the session with some clean – up bath time fun as these make great images too. Your baby will be handed back to you nice and clean and wrapped in a bath towel ready for you to redress them. You will return for your ordering session up to two weeks after the shoot. 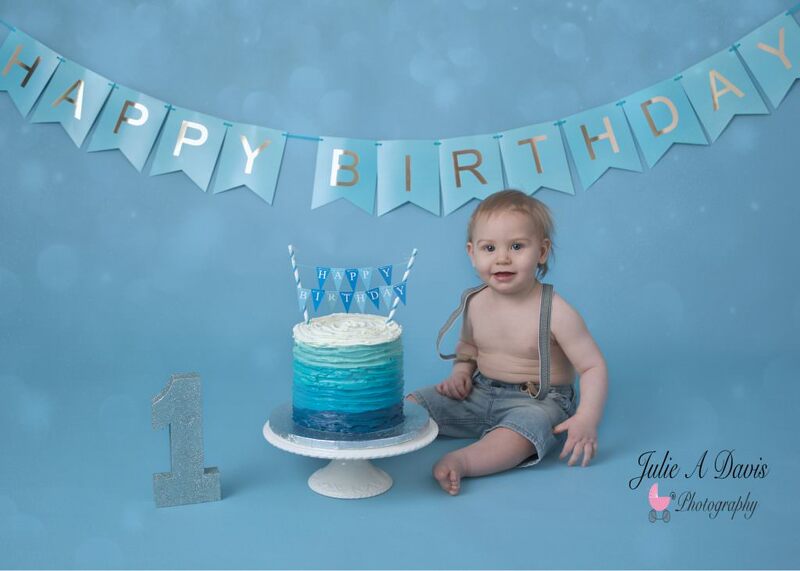 This is when you can decide how you wish to display your wonderful child’s birthday images. We offer lots of wall art products as well as print packages and digital file packages to choose from. Something to suit everyone.You will receive a complimentary video slideshow to music from the shoot. Something to keep and share with your family and friends. To be completed within a one year period. 2 x colour gloss 3D scan prints with your choice of white, blue or pink Babybond bag, to take home. Minimum order of £285 from each shoot applies (Cake Smash & Splash minimum order is £695 with this deal). Deposit is redeemable from Newborn Shoot order. Three shoots of your choosing to be completed within a two or three year period. Join the Bump to Toddler Club for £100 (this covers the three shoot fees). If you have just received this information and have previously attended a newborn shoot with us you can pay the difference. There is a minimum spend of £285 from each shoot undertaken. A Cake Smash & Splash shoot has a minimum spend of £695. Please contact Julie on 07769 658 832 to discuss her newborn baby photography services along with any questions you may have.